There was a time in history when the sea was as important as the land for defining a country's social and cultural identity. 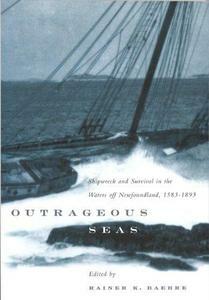 Outrageous Seas is about that time, and about the harrowing, almost mythic, experience of shipwreck, near-shipwreck, and survival in waters off Newfoundland. Travellers from many walks of life - explorers and missionaries, traders, fishers and mariners, Native Peoples, aristocrats and immigrants - have left rare and fascinating first-hand accounts of such disasters. Their narratives span four centuries and touch many historical sub-themes such as the appeal of religion in times of crisis, gender roles, and the ocean-as-workplace. Apart from its obvious scholarly appeal, this collection evokes psychic responses to calamity and brushes with death, perhaps the most universal experience of all.